One of the greatest parts about owning an Instant Imprints franchise is the amazing customers you work with on a regular basis. Own A Franchise That Helps Promote Business Growth! Promotional marketing through embroidery and promotional products brings a brand to life. It transitions advertising from pages and screens into the real world to create greater brand awareness and engagement for companies across all industries. 8 OUT OF 10 CUSTOMERS REMEMBER BUSINESSES THAT GIVE THEM A PROMOTIONAL PRODUCT. 82% OF RECIPIENTS KEEP PROMOTIONAL PRODUCTS THAT ARE USEFUL. THE PROMOTIONAL PRODUCTS INDUSTRY IS WORTH $19.4 BILLION AND THE SIGN INDUSTRY IS ROUGHLY TWICE THAT SIZE. Promotional marketing through products and embroidery can bring a brand to life. It transitions advertising from pages and screens into the real world to create greater brand awareness and engagement for companies across all industries. Digital printing, banners, posters, yard signs, stickers, window signs, POP, etc. PROMOTIONAL MARKETING IS ALWAYS IN DEMAND! Why You Should Own an Instant Imprints Franchise ? Imprints network in new markets throughout North America. 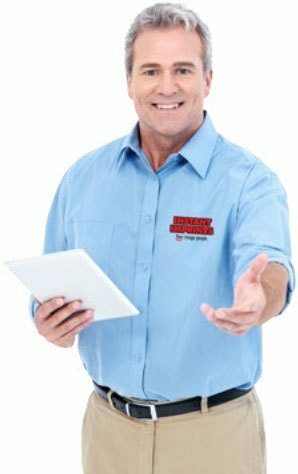 EVERY franchisee receives up to 10,000 FREE shares in the parent company under our partnership program! Our business development strategy is supported by a team of successful leaders who will assist you throughout the development process to ensure quality results. 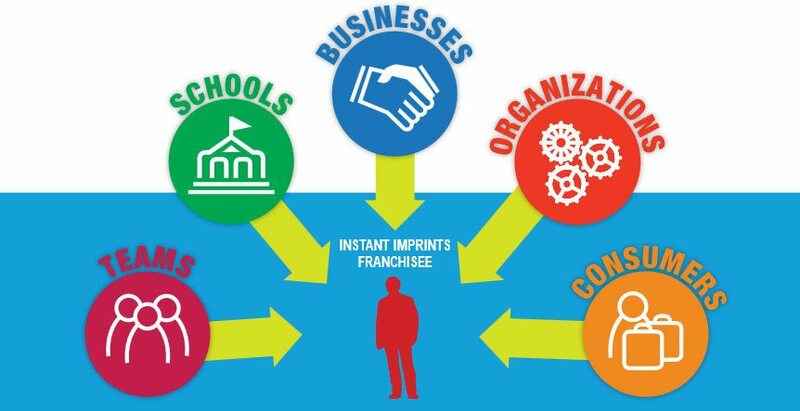 Our franchise system has a strong network of vendors, customers, and franchisees. We host webinars and seminars to keep our network updated and informed on research, development and ongoing promotions. We believe in strong franchisor/franchisee relationships with open communication, mutual trust, clearly defined rights and obligations, and a dedication to long-term success.